You'll find me hanging out on Instagram more often than my blog this past year. I love how quick I can share ideas and enjoy seeing fun ideas from other Dr. Seuss fans and creative bloggers. You can search the hashtags #drseuss #seuss #lorax #obSEUSSed and similar key words to find Dr. Seuss decorative quotes, parties, crafts, decorating ideas and more. Follow along if you are on instagram, my account is: @victoria_obSEUSSed. I'm starting a new hashtag to help us share our Dr. Seuss obsession. If you have creative Dr. Seuss inspired projects, share your photos and use the hashtag #obSEUSSed2. I designed this Dr. Seuss quote and shared it on instagram last week. I also came across this amazingly decorated Dr. Seuss celebration at a High School and was blown away by the details. All the huge décor and 3-D pieces really help this scene POP! I’d elect them all as school captains! I’d be so happy to attend school here. Check out the One Fish, Two Fish swimming in the air, truffula trees on posts, the giant sign. The 3-D Grinch statue and Green Eggs and Ham display. Look at this life-size Cat in the Hat. Cecil is a big Dr. Seuss fan. 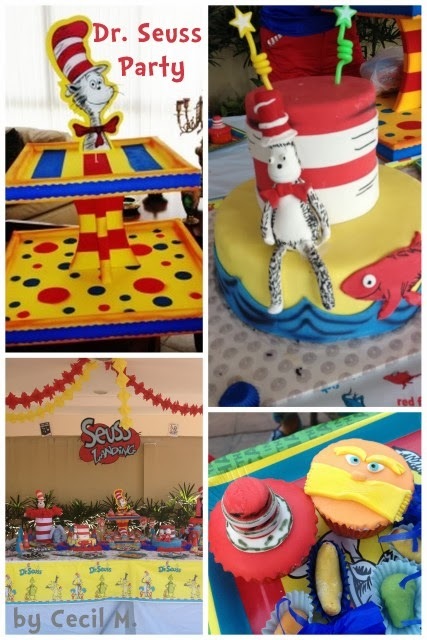 She created a fabulous Dr. Seuss birthday party for her sister. She made the striped and polka dot cupcake stand. 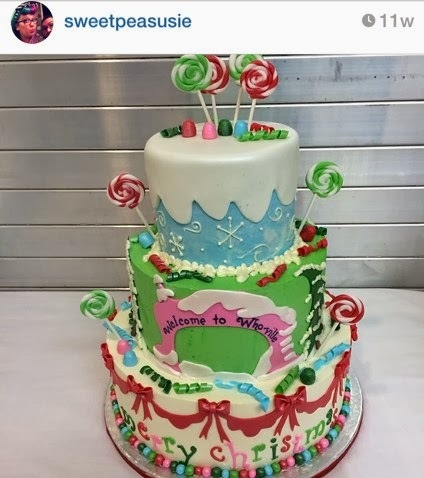 The cake and cupcakes were made with fondant. See more details and photos here. Cecil also decorated her own shoes, inspired by the Cat in the Hat. 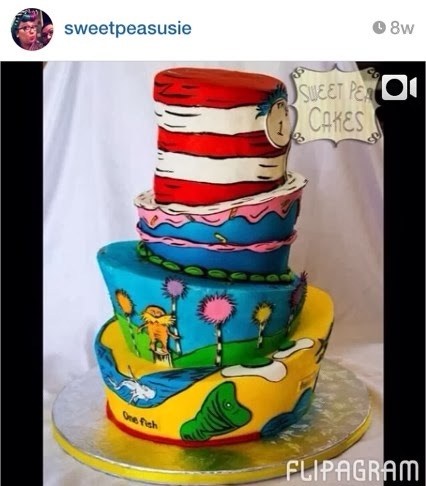 I also want to give a shout out to @SweetPeaSusie who I came across on Instagram after noticing her fabulous Dr. Seuss cakes. Her work is amazing! You can tell she has Seuss Spirit! Thank you Cecil and Susie for sharing your photos with us to spark our imaginations! If you have a party, craft or cake you’d like to share on obSEUSSed, leave a link in the comments (if photos are online somewhere) or send me and email and I’d love to feature your party here.